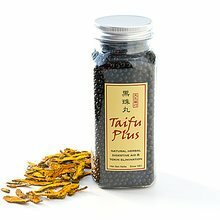 Taifu is the original form of Taifu Plus but it is used for people who have a heat indused diet (eat more spicy foods), vegan, vegetarian diet, and for those who have a more sensitive intestinal system. 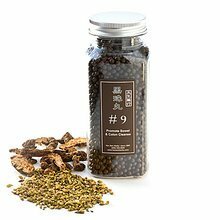 Taifu is the original form of Taifu Plus but it is used for people who have a heat indused diet (eat more spicy foods), vegan, vegetarian diet, and for those who have a more sensitive intestinal system. 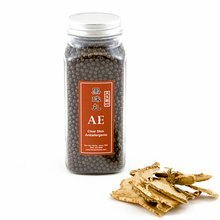 It may aid the upper intestinal GI tract to increase digestion and assist in eliminating toxins. 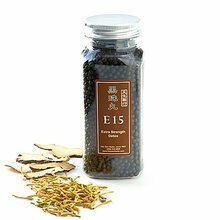 The formulation for the Taifu pills are the same as the Taifu Plus but with a different herbal ratio. Suggested Intake: Take 1/2 tsp (30-40pills) two times a day, half hour after the heaviest meals of the day (e.g Lunch and Dinner). Swallow pills with warm water or tea.